There is so much pain in the First Nations Community. Addictions, trauma, and soul level hurting are so prevalent in their lives. The pain from the past still haunts them today. Where can healing even begin? 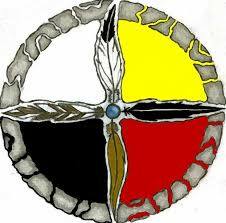 On Wednesday November 16th, I was asked to facilitate a group of First Nations who came together to drum for Wellness. It was incredible to watch the group connect with the ancient tool of the drum. The group was there for each other, with the purpose of bringing about change for their community, for their families, and most importantly, for themselves. They were there to fix and to mend the hurts. During the drum circle the participants were listening to one another, being totally present, and engaging in community music making. During the Rhythm Cradle one participant said, “Wow, that felt really good.” I said to her, “It felt good because you were able to relax your body. Your mind was able to be still. You felt safe emotionally. Most importantly, you knew in that moment that you are not alone spiritually. She began to cry, and frankly so did I, we had reached the truth together. Drumming like this is meant to give and receive support and it has impact on every level of our being. The whole group is experiencing the sense of unity that drumming can bring. It is a true honor to share this gift. This is where healing begins. The drum circle can be a catalyst for positive steps toward a brighter future.